Launched in 2016, Rally Rd. 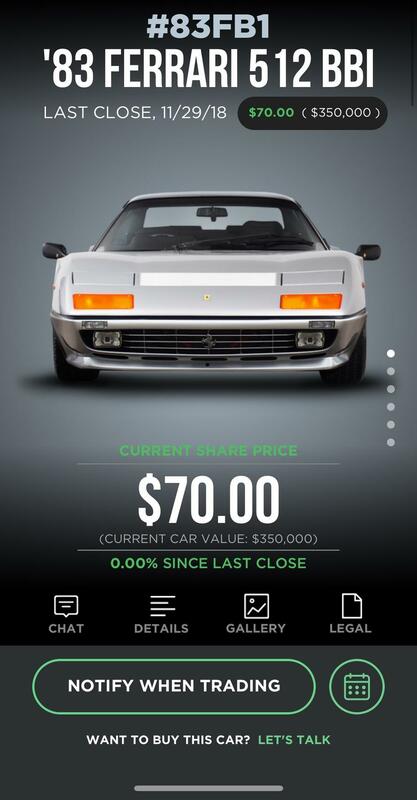 is an SEC-compliant mobile app where users buy and sell Ferraris, Porsches, Lamborghinis and other exotic automobiles. The company said it has about 50,000 members that have invested millions. Currently, there are about 20 cars available to purchase stakes in, though Rally Rd. expects to have around 100 available to trade on the app in the second half of 2019, reported TechCrunch. Rally Rd.’s co-founders Chris Bruno and Rob Petrozzo told TechCrunch back in October that the crypto bubble implosion opened the eyes of many Americans into the digital asset investing space. 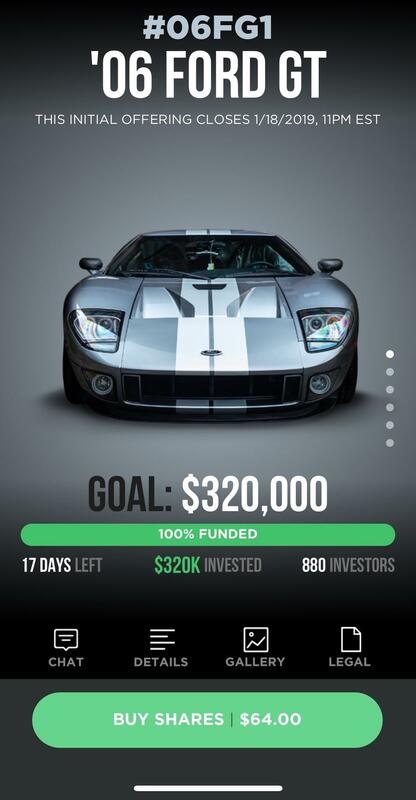 The founders recently solidified a $7 million Series A funding round to open what they call a “live investing ecosystem,” a showroom where users can participate in initial car offerings. The first location will be built in New York’s SoHo neighborhood, with other sites to follow in Los Angeles, South Florida, and Texas. “We want to create that Apple Store atmosphere where anyone can come in and learn about equity investing on the spot,” said Petrozzo. Here is how the scheme works: Rally Rd. 's deal team finds blue-chip collector cars and are turned into stocks. To do this, they form a new special purpose entity (a subsidiary of an LLC) whose sole function is to hold the car’s title. The company then holds an SEC-registered offering where investors can view details about the investment and if desired purchase equity shares in the entity that holds the car’s title. Each automobile is registered for sale through a registered broker-dealer available in 32 states. Similar to the stock market, after the initial offering, shares of the car will trade on an exchange during regular trading hours. “They’ve literally recreated the NASDAQ or NYSE experience for these assets on the Rally Rd. platform,” investment partner Greg Bettinelli, who has joined Rally Rd.’s board of directors, told TechCrunch. The special purpose entity structure enables some investors to make a tender offer for all outstanding shares of a specific car, and if investors accepted the offer, the leveraged buyout would enable the buyer to completely own the car. If a museum wanted to borrow the car, that entity would offer a one-time dividend to all shareholders. The blue-chip collector cars are stored in a temperature controlled facility which is prepaid for by money raised in each offering. 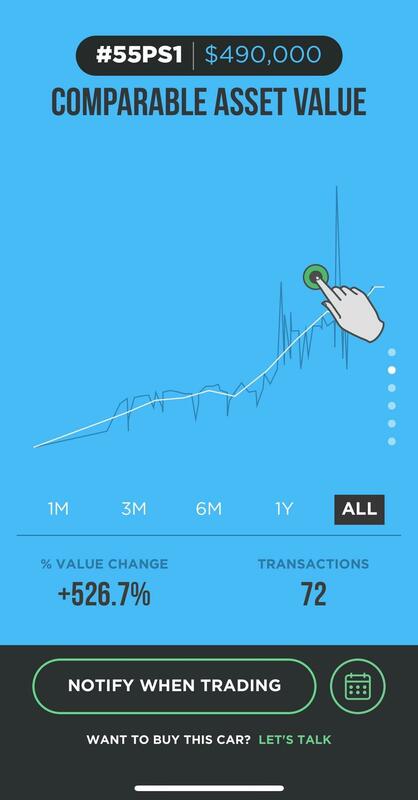 In 2019, investors will be able to watch their investments on a 24/7 live stream. As per TechCrunch, Rally Rd. takes no management fees or shares of the offering, but since nothing in this world is free, we would expect some type of hidden fee, additional premium or subscription services in the future to generate revenue for the company. The company also said they could expand into other verticals, including art and sports memorabilia. The founders said a worldwide launch of the app should debut later down the road. As it now seems TINA 'There Is No Alternative to the stock market' is dead, cash has been king since the stock market imploded several months ago. With the risk of poor returns from equities over the next ten years high, Rally Rd. 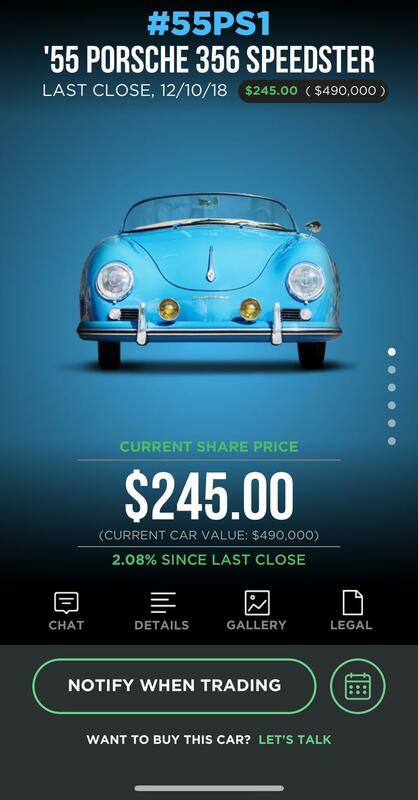 's digital investments of classic cars could be a hit with the baby boomer generation, as blue-chip collector cars have outperformed gold, the S&P500, and New York City Real Estate since 2012.